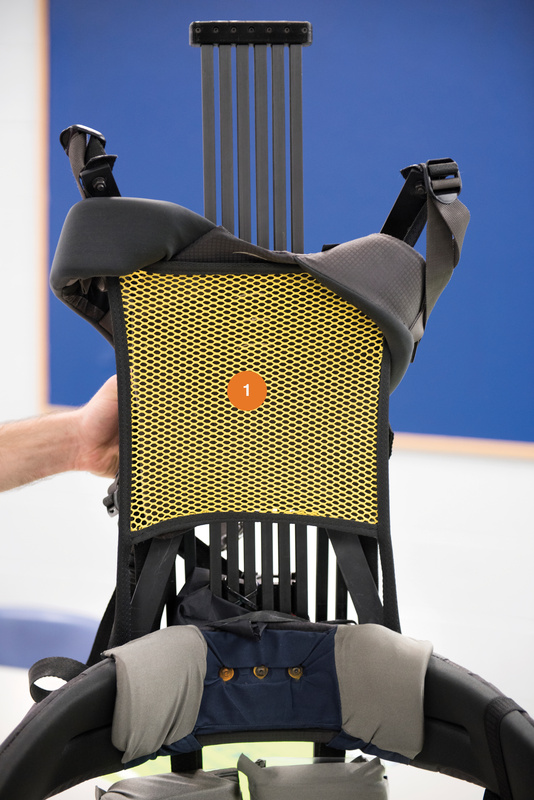 1 -- Constructed from lightweight materials in combination with soft, comfortable foam and fabric, the exosuit is designed to reduce the fatigue some employees may experience as a result of lifting and moving heavy or bulky objects. The effort needed to load an appliance or move a heavy box of supplies is anything but simple. Lifting and carrying require an intricate system of finely tuned body mechanics that combine moving body segments, changing joint angles, tightening muscles, loading the spinal column, and balancing under a shifting center of gravity. 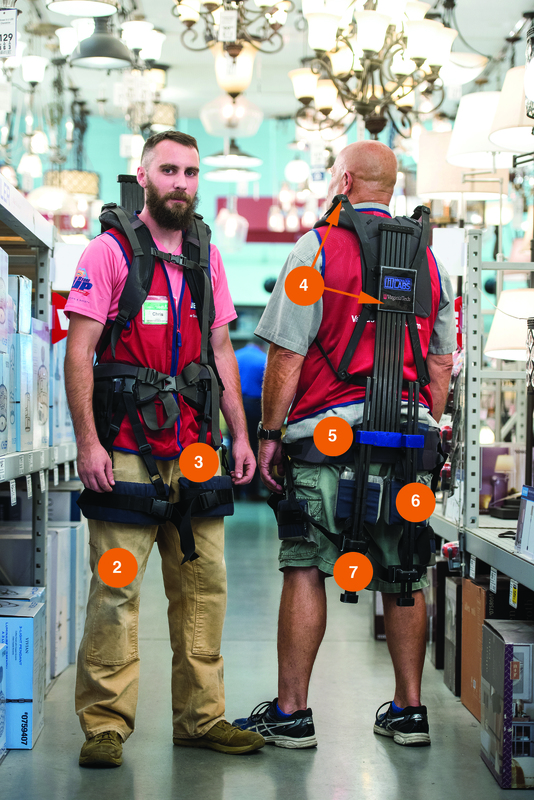 Recently, Lowe’s Innovation Labs, the disruptive technology hub for the home improvement retailer, joined forces with robotics expert Alan Asbeck, an assistant professor in the Department of Mechanical Engineering at Virginia Tech, to design a prototype of an exosuit to make lifting safer and easier. Four suits are currently in use by the Lowe’s stocking team in Christiansburg, Virginia. “This is a way to help keep our associates from being as worn out,” said store manager Joe Sirico, for whom employee safety is a top priority. Asbeck and his team will work with Lowe’s to assess the physical impact of the suits and to better understand their impact on work experiences. “This project really pairs a company like ours that has been doing business and has been a part of this community for many, many years with an institution like Tech, and takes those two worlds and smashes them together, and we both come out stronger,” Sirico said. 2 -- Putting it on is simple. The wearer steps through the suit’s thigh brace straps, pulling the suit into place. Then he or she buckles the waist belt and chest harness, comfortably securing the suit. 3 -- At the leg, webbing straps connect thigh braces to the carbon fiber. 4 -- At the back of the chest, a harness transmits force from the shoulder straps to a carbon fiber structure that slides up and down to accommodate motion. 5 -- Side blocks made from aluminum and steel hold the carbon fiber beams and rotate to allow the legs to move to the side. 6 -- Once on, the suit functions as an extension of the body’s mechanics. Its carbon fiber legs act like a bow and arrow, storing the user’s energy and returning it when they straighten. Also, it flexes to match the curvature of the body. 7 -- Aluminum teflon sliders at the back of the leg slide up and down to accommodate leg motion. Erica Corder is the College of Engineering’s communications manager.